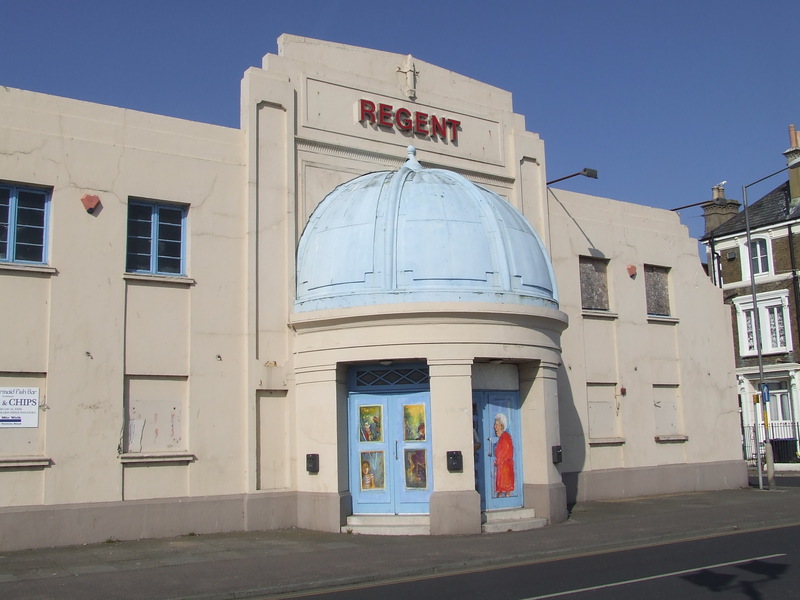 The Regent, an iconic building on the Deal seafront, has been empty for a number of years. The Deal Society is keen that the building is reopened as a cinema and frustrated at the delays to this happening. The building first opened as an iron and glass pavillion in 1928, the current ‘Art Deco’ frontage was added in 1933 when it became a cinema but it closed in 1963 and became a bingo hall which closed in 2009. During 2011, Dover District Council sold the building to James Wallace and Mark Digweed. In July 2013 a planning application was submitted for the refurbishment of the building into a three screen cinema with cafe/restaurant and snack bar. Although the Deal Town Council planning committee (on which the Deal Society has a representative) raising no issues with it, the planning application was withdrawn on the 1st May 2014. The society is supporting concerned residents who are running a campaign to reopen the Regent with a website at www.reopentheregent.com.